My year-long sabbatical in 2014-2015 will soon pay off. 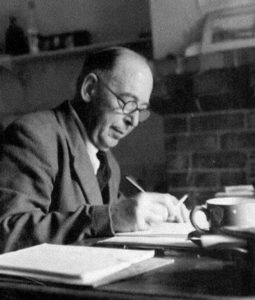 The manuscript for my book on C. S. Lewis is now in the hands of the publisher and I’ve secured the Lewis Company’s permission to quote from Lewis sources. I’d like to give you an overview of what to expect in this book. The revised title is America Discovers C. S. Lewis: His Profound Impact. Chapter one looks at the relationship between Lewis and America. 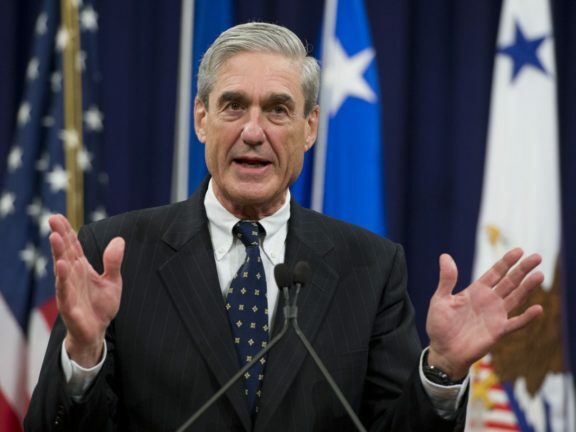 What was his attitude toward Americans and their country? Did it change over time? What did he like about the land he never got around to visiting and what did he critique about it? What conclusions can we reach about his views on Mother England’s former colony? The second chapter introduces Chad Walsh, an English professor at Beloit College in Wisconsin, the first American to write a book-length treatment of Lewis’s thought. In fact, Walsh was the first person, American or not, to do so. We discover that he not only met Lewis but became good friends with him. Walsh not only introduced Americans to Lewis through his Apostle to the Skeptics volume, but he also was instrumental in connecting Lewis to one special person in particular—his future wife. Joy Davidman Gresham Lewis enters the story in chapter three. 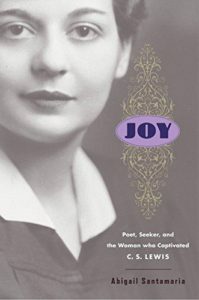 An American Jewish woman who rejected religion entirely, she committed herself to the communist vision for the future in her younger days, only to become disillusioned with that false worldview over time. C. S. Lewis filled the vacuum, showing her the way to the true faith. That relationship, which began in letters, blossomed eventually into marriage with Lewis, transforming his bachelor existence in his later years. The joy of that journey together was tested by the pain of cancer and her death, but their marriage is a testament to the essence of a love inspired by God. How can one know Lewis personally for only a few months yet feel as if one has known him for many years? Walter Hooper experienced that as a young American who arrived in Oxford to meet with Lewis for only one afternoon but ended up being a close friend and companion who went on to edit Lewis’s works and ensure he would not be forgotten by future generations. His story is the subject of chapter four. I”m also grateful to Hooper for communicating directly with me about his personal experiences with Lewis. He continues to be a link to the man who has inspired so many. Lewis became friends as well with a number of other academics on the other side of the Atlantic. Some he met in person, others only by letter. 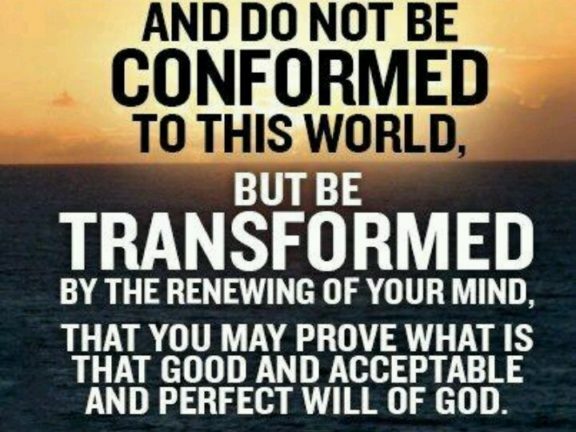 He helped fashion their Biblical worldviews, and they returned the favor by publicizing his works in America. Chapter five develops those relationships. 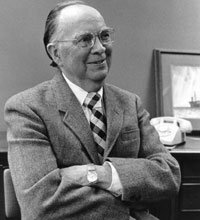 Clyde Kilby of Wheaton College is a prime example. 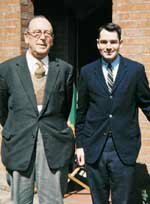 It was through Kilby’s extensive efforts that the Marion E. Wade Center at Wheaton now exists, not only with the largest collection of Lewis primary materials in America but also as the repository for other well-known British authors, either personal friends of Lewis’s or those who influenced him greatly: J. R. R. Tolkien, Charles Williams, Dorothy Sayers, G. K. Chesterton, Owen Barfield, and George MacDonald. A young American who studied at Oxford, Sheldon Vanauken, attributed his conversion to Lewis, first through letters, then as a personal friend. His wife, Davy, also became a Christian by reading Lewis. After Vanauken returned to America to take up a professorship, Davy died a few years later. Lewis’s letters to him through that trying time solidified his faith. Vanauken’s experience later appeared in a book that is treasured by many believers, A Severe Mercy. I’ve always come away from reading this autobiography deeply moved. There is a second generation that knew not Lewis, but that owes him a great intellectual and spiritual debt. That generation is also examined in chapter five, along with representatives from American evangelicals who have depended a great deal on Lewis for their respective ministries. Charles Colson, caught in the Watergate net as a high-ranking member of the Nixon administration, read Mere Christianity and committed his life to the Lord, resulting in the worldwide ministry of Prison Fellowship. 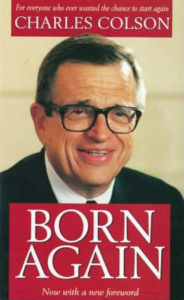 I recall reading Colson’s autobiography, Born Again, shortly after it first appeared in the late 1970s. It was an encouragement to my faith at a crucial time in my life. Lewis’s role in Colson’s journey to faith is recounted in this chapter. Chapter six delves into the letters Lewis wrote to a number of regular American correspondents over the years. 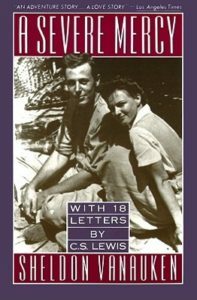 Most of these correspondents are not well known, but Lewis’s patient commitment to helping them understand better the essentials for living a victorious Christian life is central to his responses. He met those correspondents wherever they were along the Christian path and sought to lead them further. This sixth chapter also includes some of his most poignant letters to American children, most of whom contacted him after reading The Chronicles of Narnia books. 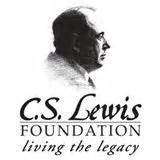 Chapter seven details three organizations in America that were established as a result of their appreciation for Lewis’s works: the New York C. S. Lewis Society; the C. S. Lewis Institute; and the C. S. Lewis Foundation. Their ongoing ministries testify to the impact that Lewis’s legacy continues to have on Americans. The Foundation even bought Lewis’s Oxford home, the Kilns, and has made it a study center for visiting Americans. I’ve begun a connection with the Foundation, presenting a paper last fall at a retreat and preparing one for next month’s conference. It’s a connection I hope to strengthen over the years. I’m also slated to speak at a meeting of the New York C. S. Lewis Society in October; I’m looking forward to that. Surveys of Americans to deduce how Lewis has influenced their lives form the substance of chapter eight. 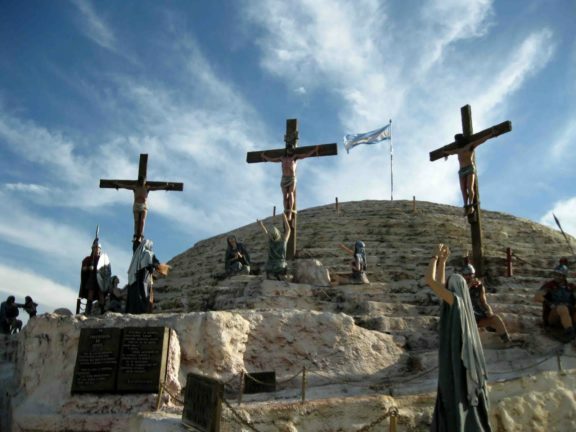 Two of those surveys, conducted in 1986 and 1996, simply asked for testimonies. The final survey, taken in 2014, expands the questions answered by the respondents and provides an even greater insight into how contemporary Americans view their C. S. Lewis experience. I conducted that final survey myself with the help of the Wade Center. The ninth, and concluding, chapter offers some analyses by Lewis experts on the extent of his impact on America and reasons for his popularity. After reviewing what the experts say, I close with my own personal evaluation of their insights. That’s the overview. Publication date will be late summer-early autumn. I’m excited about being able to offer this to those who are interested in understanding the immense impact Lewis has had on Americans.